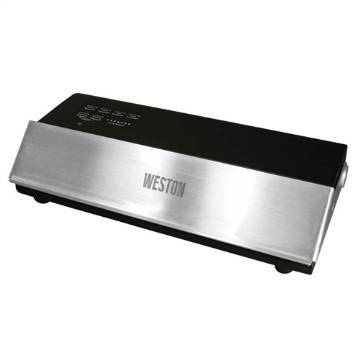 Weston Products is known for making high quality vacuum sealers. The compact Pro Advantage Vacuum Sealer is one of the best External Clamp Vacuum Sealers, featuring 23' HG vacuum strength, a 210 watt motor, and carrying an ETL certification. The stylish black design with brushed stainless steel lid will look attractive in almost any kitchen. This sealer is great for home or professional use. The package includes 15 one quart vacuum bags. From John Franz of East Bangor, Pennsylvania on 7/15/2016 .